The worlds of comics and professional wrestling aren’t that far apart: they have colorful casts of costumed characters, feature complex storytelling and ongoing plots, and both are linchpins and mainstays of popular culture. BOOM! Studios have announced WWE: Attitude Era, an upcoming series that will look at the some of the most popular figures in wrestling. 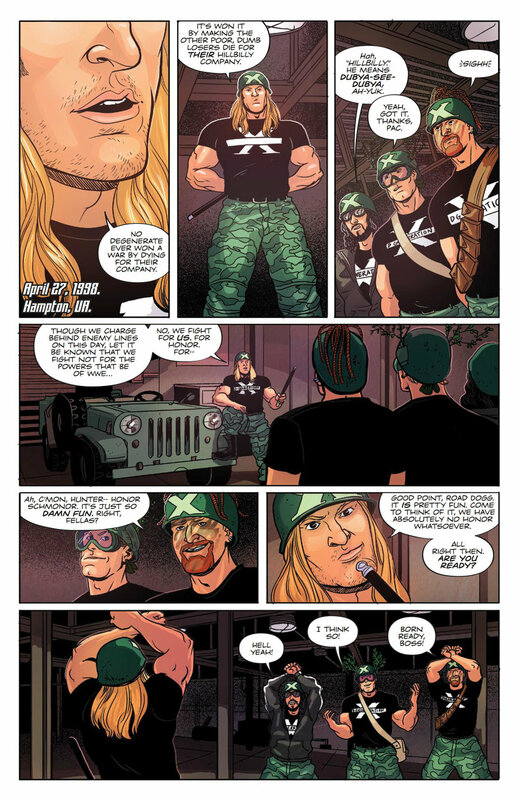 With a star-studded lineup of creators at the helm, it’s an undertaking that is perfect for both fans of comics and the WWE. Check out the details below, including an extended preview. WWE: Attitude Era #1 will hit comic shops and other retailers on August 1.